This is where you can place an amazing quote about your business. We provide the best services anywhere. 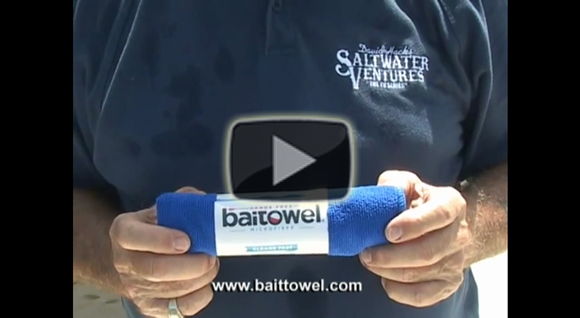 Super-absorbent microfiber that removes blood, slime, bait and everything else with 1 swipe. Easy-to-use carabiner clip to attach to keep your hands free. Perfect size (16″ x 16″) to keep in your back pocket for when you need it. Light weight so it won’t weigh you down. Anti-microbial so it dries fast, reducing mildew odors. This Season, put a hands-free microfiber Bait Towel in your tackle box, you’ll be glad you did!